We’re happy to have several rain showers here in Billings. Especially with the 4th of July right around the corner. 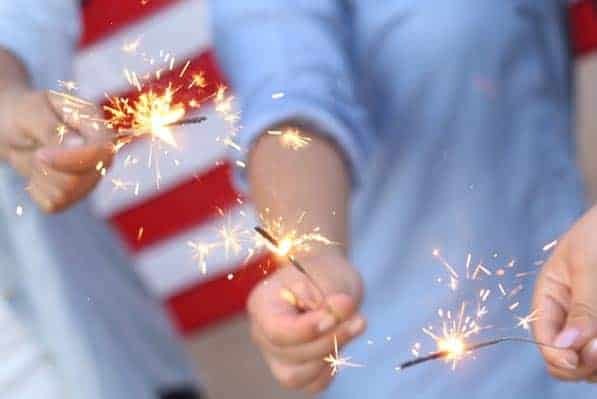 It’s the season to practice extra caution when enjoying the season’s festivities, BBQs and fireworks. So here are some helpful tips on how to keep your home safe from a fire emergency. Clear Dry Brush – Keep your yard free of potential tinder. Clear out your property of dried leaves, shrubs, and mow dead grass to a short length. Be Easy to Find – Make sure your home is easy for fire & rescue to find. Make your home address easily visible day or night. Trim Trees – If you have tall trees, trim lower branches back to reduce the risk of spreading from ground to trees. Store Wood Safely – Keep fire wood piles 30′ away from the house and 10′ away from vegetation, if possible. Consider the Possibility – Having a plan for a fire emergency is commonly discussed and emphasized especially when children live in the home. Yet, believing that it could really happen to your family is an important step in being prepared. Standard Operating Procedure – Especially important for holidays where drinking and relaxing can be involved. Make sure to think about what you will do if a fire gets out of hand. Keep Water Close – Make sure to have a water source close by, preferably a hose for extended use and bucket for immediate use. Phone Charged & Nearby – Keep a working mobile phone on your person. The majority of smoke detectors that are installed in homes are alarms. They alert you to danger and help you know when to take action. Today there are even better options for your home. You can actually have an alarm that will communicate with your monitoring system and alert the emergency services for you. The system also sends you a notification on your mobile device. At Comtech, we provide monitoring with Alarm.com. For one Alarm.com user, the notification of fire at his home helped to save his dogs lives.